Lifestyle Change | "Get Up and Get Moving"
For every hour you sit you need to get up and walk ride a bike or go up and down stairs for 15 min. Learning to Read Lables With your Kids!! With the kids home all summer we really should know what they are eating. Reading the labels of what we buy is the best way to know how much Sugar and other things they are getting. It’s know fun dealing with kids that have sugar highs due to eating to much sugar. So take some time when you shop and read the label. taste. Make sure to read the label carefully to make the best choice. have to check the label. better choice than the standard product, so take the time to read your labels carefully. 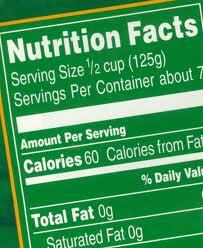 The information on the left side of the label provides total amounts of different nutrients per serving. Total amounts are shown in grams, abbreviated as g. or in milligrams, shown as mg. A gram is a very small amount and a milligram is on-thousandth of that. For example, a nickle weighs about 5 grams. So does a teaspoonful of margarine. Compare labels of similar foods. For example,choose the product with a smaller amount of saturated fat, cholesterol,and try to select foods with more fiber. If youare trying to lose or maintain your weight, the number of calories you eat counts. To lose weight you need to eat fewer calories than your body burns. You can use the label to compare similar products and determine which contains fewer calories. Sodium doesnot affect blood glucose levels. However, many people eat much more sodium than they need. Table salt is very high in sodium. You might hear people sue “sodium” in lieu of “table salt,” or vice versa.With many foods, you can taste how salty they are, such as pickles. But there is also hidden salt in many foods, like salad dressings,canned soups and other packaged foods. Reading labels can help you compare the sodium in different foods. You can also try using herbs andspices in your cooking instead of adding salt. Adults should aim forless than 2400 mg per day. If you have high blood pressure it may be helpful to to eat less. If youare carbohydrate counting, the food label can provide you with the information you need for meal planning. Look at the grams of total carbohydrate, rather than the grams of sugar. Total carbohydrate on the label includes sugar, complex carbohydrate, and fiber. If you look only at the sugar number, you may end up excluding nutritious foods such as fruits and milks thinking they are too high in sugar. You might also overeat foods such as cereals and grains that have no natural or added sugar, but do contain a lot of carbohydrate. The grams of sugar and fiber are counted as part of the grams of total carbohydrate. If a food has 5 grams or more fiber in a serving, subtract the fiber grams from the total grams of carbohydrate for a more accurate estimate of the carbohydrate content. Fibers part of plant foods that is not digested. Dried beans such as kidney or pinto beans, fruits, vegetables and grains are all good sources of fiber. The recommendation is to eat 25-30 grams of fiber per day.People with diabetes need the same amount of fiber as everyone else. Sugar alcohols (also known as polyols) include xylitol and mannitol,and have fewer calories than sugars and starches. Use of sugar alcohols-in a product does not necessarily mean the product is low incarbohydrate or calories. Eating to much of these products can cause diarrhea. I just don’t do well with sugar alcohols. I also get a very bad stomach ache when I use splenda so I use stevia instead. Ingredients are listed in descending order by weight, meaning the first ingredient makes up the largest proportion of the food. Check the ingredient list to spot things you’d like to avoid, such as coconut oil or palm oil,which are high in saturated fat. Also try to avoid hydrogenated oils that are high in trans fat. They are not listed by total amount on the label, but you can choose foods that don’t list hydrogenated oil in the ingredient list. The ingredient lists also a good place to look for heart-healthy ingredients such as soy;monounsaturated fats such as olive or canola oils; or whole grains,like whole wheat flour and oats. My kids can not tell I am using wheat flour. A few tips for mom’s. Instead of otter pops which are 100% Sugar opt for GoGurt and put them in the freezer. 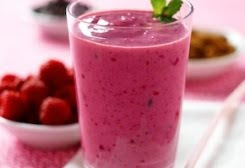 They are much healthier and still can be refreshing during the summer. set for summer. No one leaves the house without it so then no one needs to say I am thirsty and we have to stop and have to make a choice on what to get.